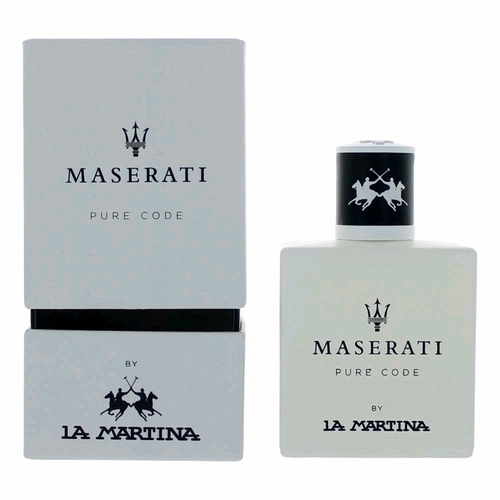 Maserati Pure Code is a unique, woodsy cologne that is the ultimate scent for both men and women alike . The top notes are a sweet, citrusy blend of tangerine, orange and bergamot and rejuvenating fresh water that mingle with a strong, spicy kick of coriander to give a bright, awakening start to your day. Strong and durable middle notes of black pepper, sandalwood, patchouli, cedar and soothing vetiver are the perfect mix for a relaxing, fresh aroma that is reminiscent of the great outdoors. The finishing base notes are a pleasant combination of warm vanilla, white musk and ambergris to complete this adventurous scent.